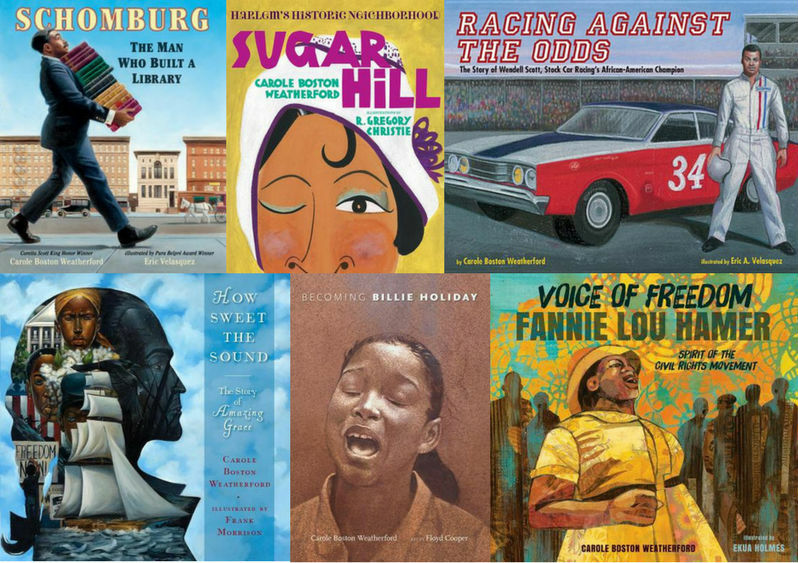 Carole Boston Weatherford has teamed up with many brilliant illustrators including, Frank Morrison, Eric Velasquez, Ekua Holmes, R. Gregory Christie, Floyd Cooper, and more, to create some terrific books for children. Often you don't see these books -- even the in major bookstores, which historically made these books effectively nonexistent were it not for the web. Some of these titles win children's book awards and gain some level of success and prominence, but still readers seem to be under the impress that there aren't very many Black book being produced. The issue s really one of awareness rather than supply.